Whoever said “Don’t Judge a book by its cover” must have owned an eReader. In a bookstore, people read the blurbs on book covers to investigate their purchase, but an eReader requires a bit more in-depth review. If only there was a way to have the capabilities of both on one device. 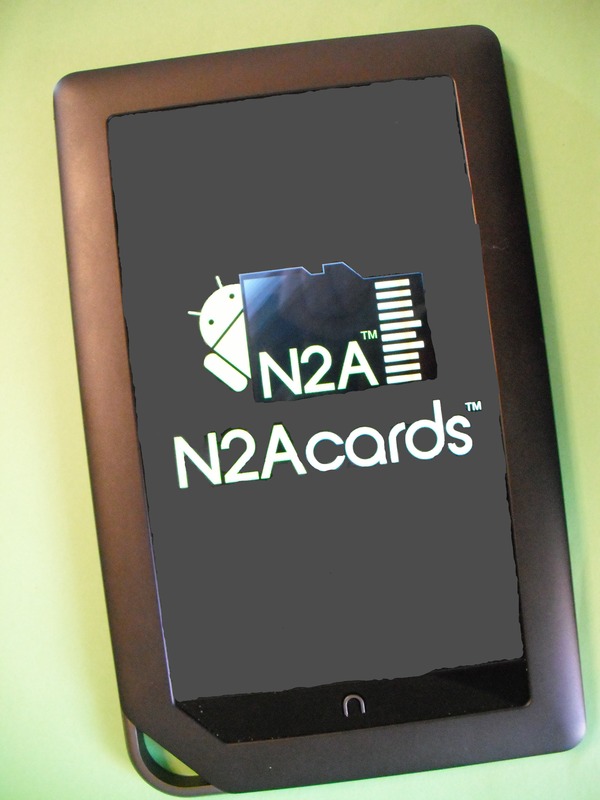 Now with the N2A™ Nook to Android microSD Card, you can! It sounds impossible, but there is way to access both Kindle and Nook books on the same device. The answer? N2A™ – 8GB Nook to Android microSD Card will not only allow you to access Kindle books, but will turn your Nook Color into an Android Tablet. It sounds too good to be true, but this eReader product lives up to its word. Converting your eReader into an Android seems like it should be a long, involved process, but the setup is actually incredibly simple. The N2A card slides into the microSD slot in the bottom left corner of the device and will literally transform your Nook into an Android within five minutes. 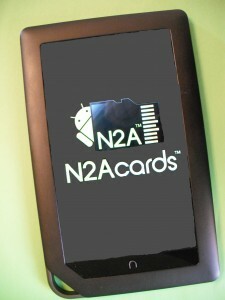 The N2A chip allows users to switch back and forth between the Nook and Android formats. One of the most reassuring features of the N2A card (besides the fact that it is 100% legal and will not void your warranty), is that you can switch back and forth between Android and Nook interfaces with ease. 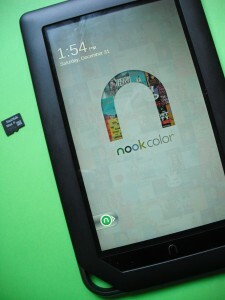 The bootup screen allows you to choose to between the Nook and Android. Though you can access your Nook library through the app on the droid, I like using Barnes and Noble’s interface as some books don’t transfer cleaning on the Nook app. Pair the fantastic touchscreen capabilities and image quality of the Nook with the fast processing and capabilities of the N2A card, and you have a match made in reader heaven. I absolutely love being able to go back and forth between books and movies, between downloading free books and uploading new apps. The battery life is solid as well; I spent the two days minus a computer, so I ended up surfing the web and watching a mini marathon of American Horror Story for two days. After watching video all day, I only had to charge at the end of the day—and that more because I’ve been trained by my battery-guzzling cellphone than out of need. The droid set up features synced email, music, and web browsing, and a growing list of apps. You can access facebook, gmail, and—for those of you caught between a Kindle and a Nook—the Kindle and other eReaders. The reading settings on the Kindle app match those of the Kindle itself. You’ll miss out on the Kindle Owners’ Lending Library, but as that privilege costs $79 a year, you’ll probably be better off taking advantage of Free Nook Book Fridays. It’s true that you can get a basic Kindle for $79. However, using the Nook Color with an N2A card is a steal if you consider that you are essentially getting two eReaders and a tablet at half the price. I wouldn’t suggest this route if you’re looking for a top-of-the-line tablet, but it’s great for those of us who aren’t yet willing to pay the $500 price tag on your average tablet, but still want a portable device with video and internet capabilities. You might not be able to judge a book by its cover, but judging by how much area this eReader covers, I’d say that the Nook and N2A card are a book lover’s new best friend. Photos taken and edited by Laura Rensing.